The National Association of Women Writers and the National Association of Baby Boomer Women have partnered together to offer memberships for the price of one through the end of June. The National Association of Women Writers and the National Association of Baby Boomer Women have partnered together to help women find a strong support system as they enter midlife. From now until June 30, members will receive a free membership to the NABBW when they join or renew their memberships with the NAWW. This opportunity to join NABBW for free is valued at $75. I’m a writer and need to belong to a group of encouraging women writers who will educate and support me. I’m tired of caring for my aging parents and my family too. What’s up with these hot flashes? What will I do in my empty nest? Should I be doing more to plan for retirement? I never thought I’d be alone at midlife. I could use some encouragement and support at midlife. 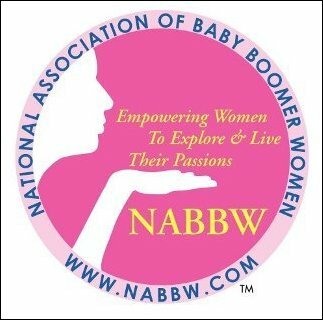 Dotsie Bregel is the President and Founder of the National Association of Baby Boomer Women (http://www.nabbw.com) and http://www.BoomerWomenSpeak.com, # 1 site on all search engines for “baby boomer women”. She is passionate about educating and empowering baby boomer women to live life to the fullest. Dotsie lives in Towson, Maryland with her husband Ross and their three children (ages 21, 18 and 17) and will have an empty nest in September. Contact her toll free at 1-877-bboomer. Sheri' McConnell (http://www.SheriMcConnell.net) is the President and Founder of the National Association of Women Writers (http://www.NAWW.org) and the InfoMarket Network (http://www.InfoMarketNetwork.org). She helps women writers and entrepreneurs discover, create, and profit from their intellectual knowledge. Sheri' lives in San Antonio, Texas with her husband Seth and their four children-ages 10, 9, 5 and a newborn. Contact her toll free at 866-821-5829. Sheri’ and Dotsie invite all women writers and baby boomers to visit them online and consider taking advantage of this opportunity to enjoy all the benefits of both organizations for the price of one.